History is often made on the backs of truly passionate, talented young people. 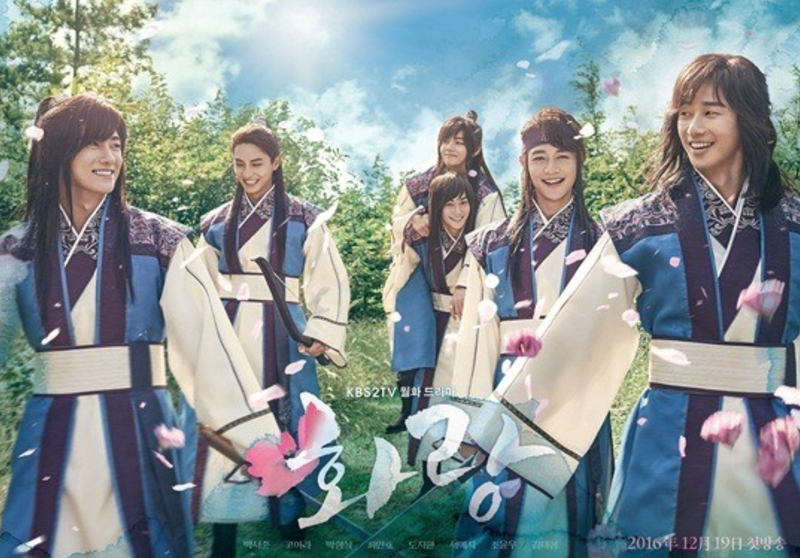 During the Kingdom of Silla, a group of elite youth known as Hwarang would wield great influence. These dashing, talented knights – Moo Myung (Park Seo Joon), Sam Maek Jong (Park Hyung Sik), Soo Ho (Choi Minho), Ban Ryu (Do Ji Han), Yeo Wool (Jo Yoon Woo), Han Sung (Kim Taehyung [BTS’s V]), and maiden Ah Ro (Go Ara) – could outsmart and outfight anyone as they pushed for justice in Seorabeol, the capital city. One of them would become King Jin Heung of Silla and change the course of history. “Hwarang” is a 2016-2017 South Korean drama series directed by Yoon Sung Sik.